I want to start off by telling you that I did not expect to like this movie. 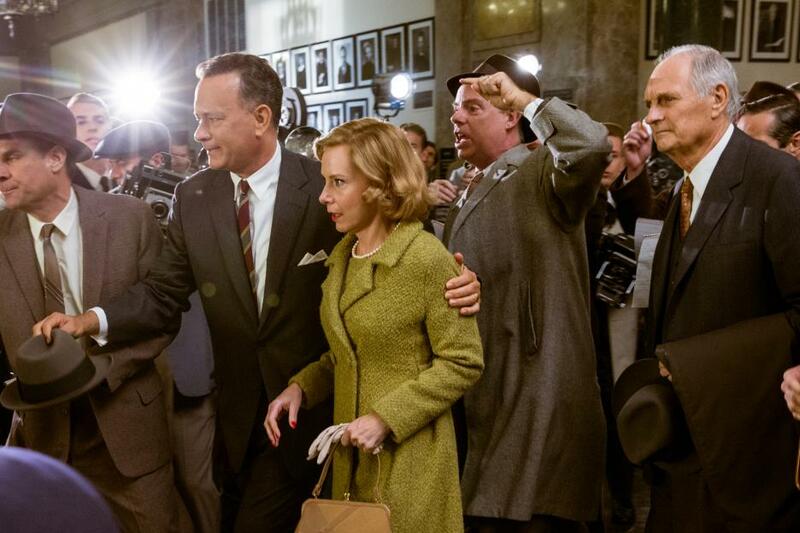 This Bridge of Spies movie review will show you why this was different for me. Dramas, especially political ones, are not usually the type of thing that make me want to get out of my pajamas, leave my house, and then sit in a theater for a few hours. 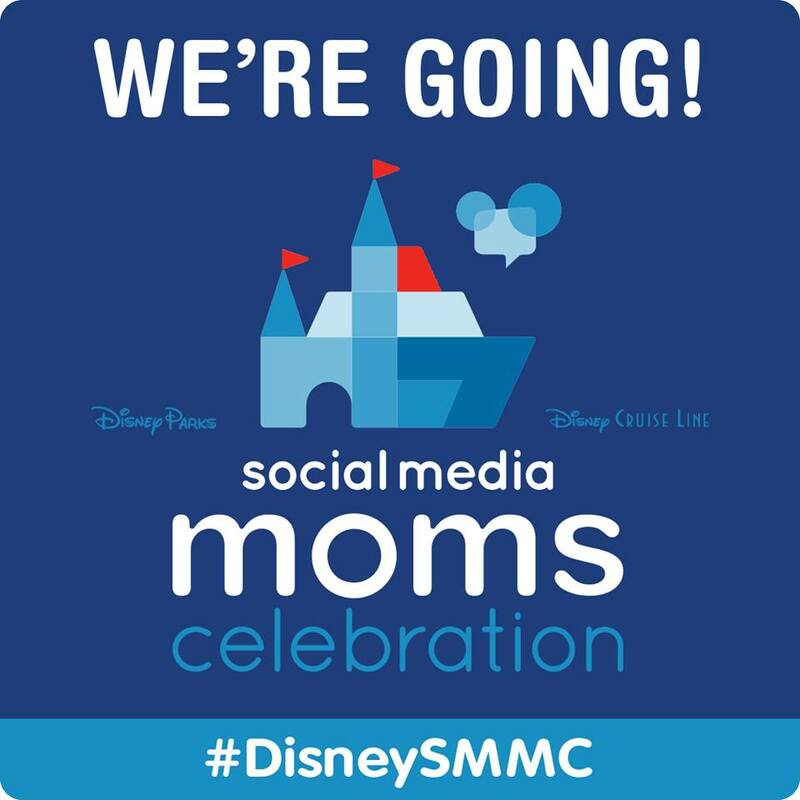 My taste tends to lean toward kids movies (I really do love them) Sci-Fi, and Rom-Coms. That said, I absolutely loved DreamWorks Pictures’ Bridge of Spies and will definitely be seeing it again with my older children. Yes, I will be bringing my kids to see this movie. It tells the story of a very important piece of history (that I wasn’t even aware of). I would like them to learn about James Donovan and then the impact he had during such a tense time in our Nation’s history. 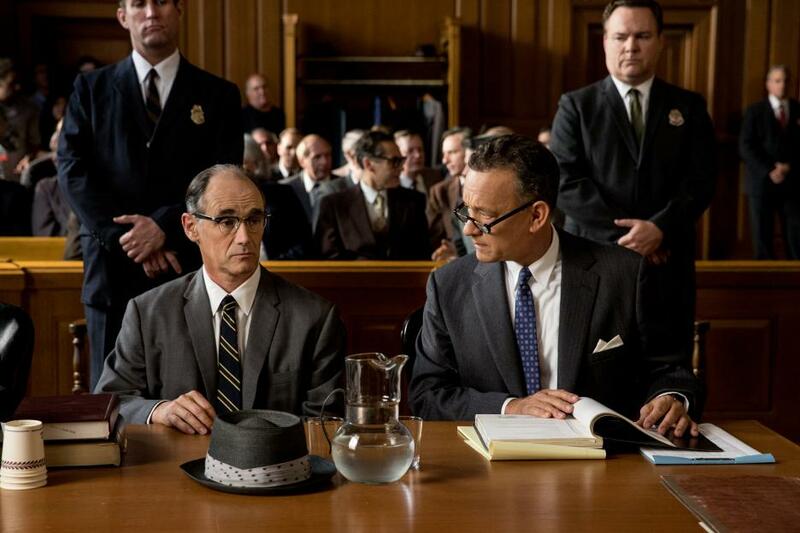 Tom Hanks plays James Donovan, a New York insurance lawyer, who is called upon to defend Rudolf Abel (played by Mark Rylance), a captured KGB spy, in his trial. Donovan loses the trial but is successful in his efforts to spare Abel from capital punishment. One of the things that struck me was that Donovan took on this case, making him very unpopular. At the risk of his family’s safety, he made sure Abel had the right to due process of the law. Even today, not many would make that choice. Standing up for someone already guilty, in the public eye. 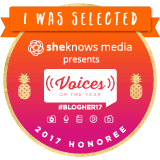 During an exchange with a CIA agent, Donovan showed that he was steadfast in protecting Abel’s rights. When asked by the CIA agent what information Abel was telling him Donovan responded with “I’m Irish, you’re German…what makes us American? The rule book…it’s called the Constitution, and we all agree to follow it.” Now, I don’t know if it was actually something that was said in real life or it was just in the script but, the actions of Donovan and his empathetic treatment of Abel showed how important it is for all of us be treated equally. These two actors brilliantly developed the relationship between Donovan and Abel. It provided some of the movies’ lighthearted and touching moments. 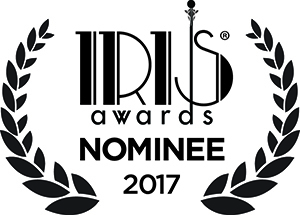 Mark Rylance gives a superb performance as Rudolf Abel and, although each actor is excellent in their role, I am going to predict that he will be nominated for an Oscar for his portrayal of Abel. 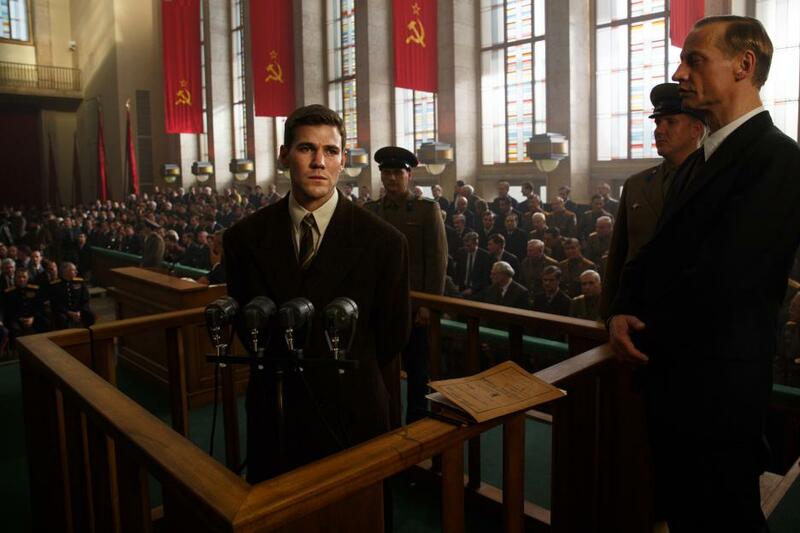 As the movie progresses, an American pilot Francis Gary Powers is shot down over Russia and subsequently captured. James Donovan negotiates the exchange of the still imprisoned Abel for the return of Powers to the US. Donovan goes to East Berlin during a very dangerous political climate to take on this momentous task and not only negotiates the exchange of Abel and Powers, but also arranges for the release of American student, Frederic Pryor, who was taken prisoner in Berlin. The events that took place, without United States citizens being aware, (even Donovan’s own family) astounded me. I left the movie theater wanting to know more about James Donovan. I was fascinated to learn that President Kennedy also called upon Donovan to negotiate prisoner releases with Cuba and then to find out that he was responsible for the return & release of thousands of men, women, and children. That is true heroism! GO SEE THIS MOVIE!!! The story, the cast, all of it .. excellent! I can honestly say it was 2 and a half hours well spent! 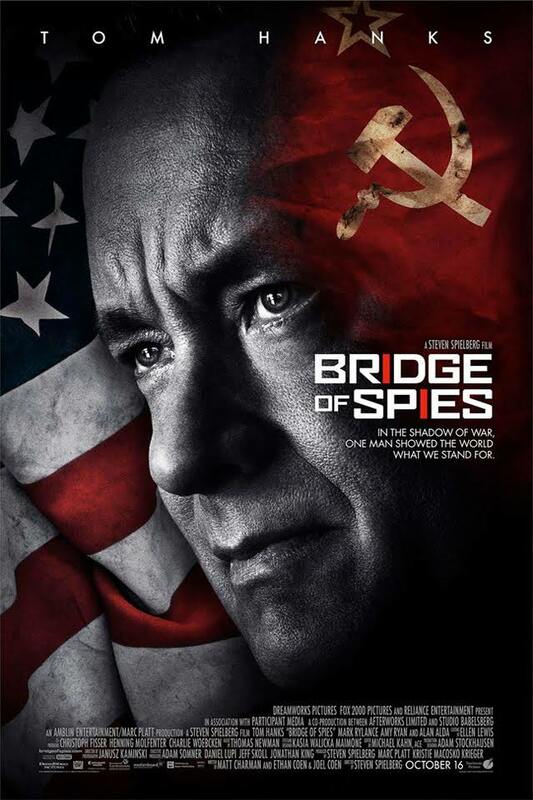 A dramatic thriller set against the backdrop of a series of historic events, DreamWorks Pictures/Fox 2000 Pictures’ “Bridge of Spies” tells the story of James Donovan, a Brooklyn lawyer who finds himself thrust into the center of the Cold War when the CIA sends him on the near-impossible task to negotiate the release of a captured American U-2 pilot. Screenwriters Matt Charman and Ethan Coen & Joel Coen wove this remarkable experience in Donovan’s life into a story inspired by true events that captures the essence of a man who risked everything and vividly brings his personal journey to life. Spielberg, Marc Platt and Kristie Macosko Krieger produced the film. Adam Somner, Daniel Lupi, Jeff Skoll and Jonathan King serve as executive producers. Matt Charman and three-time Academy Award winners Ethan Coen & Joel Coen wrote the screenplay. 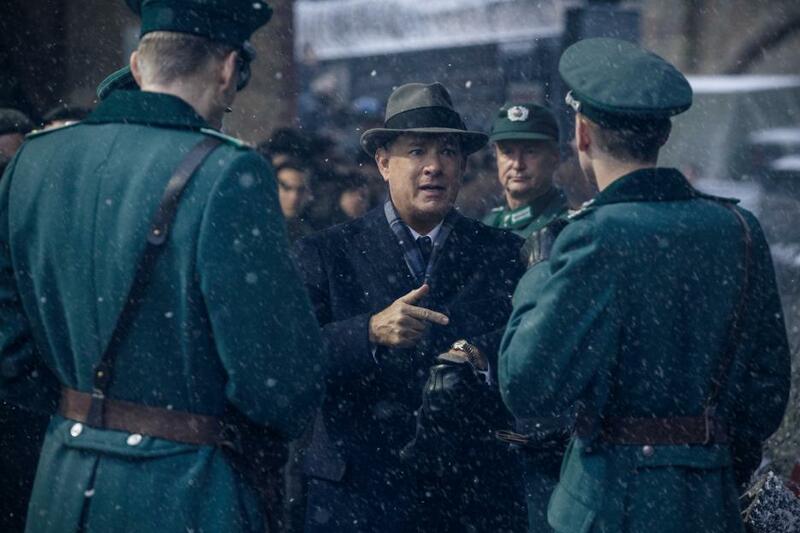 “Bridge of Spies” opens in theaters today.